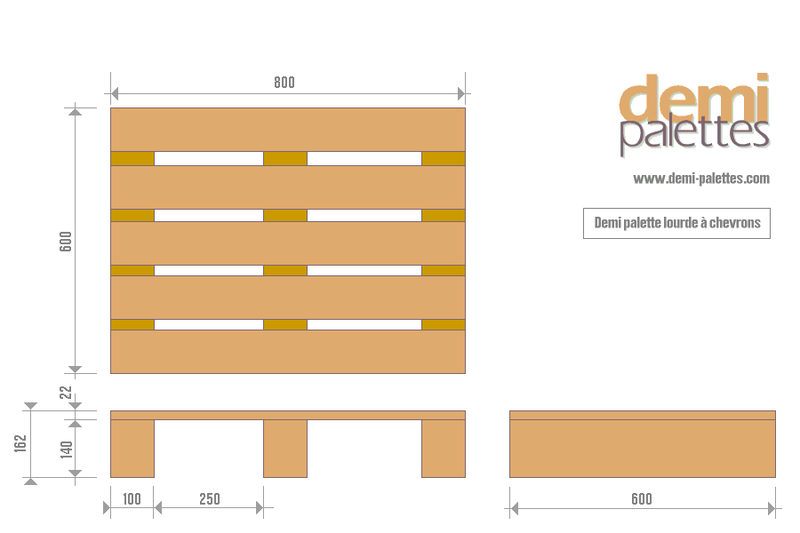 Specific half pallets used by the great distribution in France and Germany. 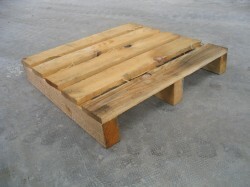 Robust pallet because made out of plastic elements (interior dice) and metal (external dice). 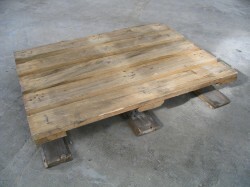 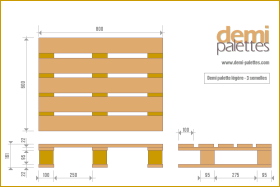 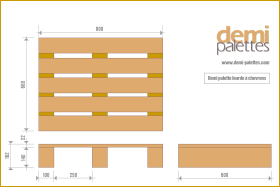 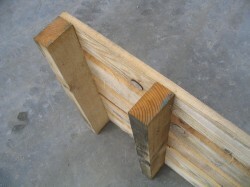 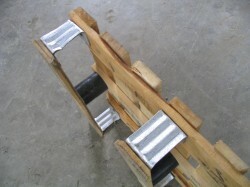 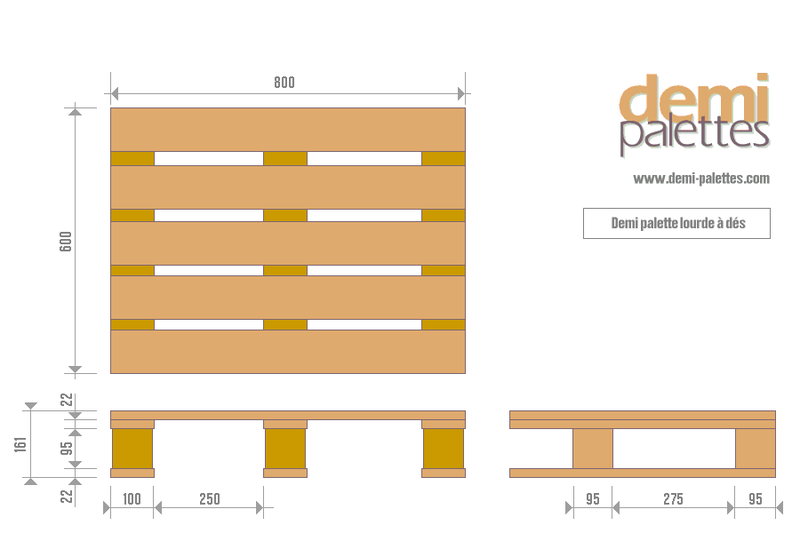 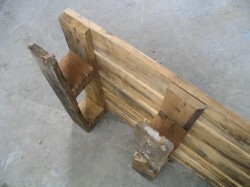 Moreover, it is riveted and not nailed like the other types of pallets. 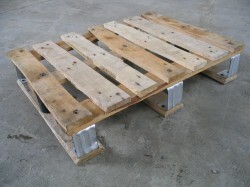 > Le The treatment of pallets and wooden packing.